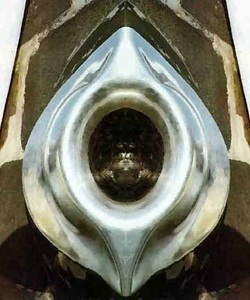 The Black Stone at Mecca that Muslims worship. The comet that is also the Black Madonna, sent from Mother Nature and cherished as sacred and having mystical healing powers. Artemis of Ephesus is the extension of the Mother Goddess and the source of the Virgin Mary cult which parallels virginity and Motherhood. The black meteorite was adapted as the head of the cult statue. Cybele, like Diana of the Ephesians, was a "black virgin." The crescent moon also represents Diana of the Ephesians. "Black Virgin" represents those who encompasses all the Seven Rays into the Holy and healing white light of Spirit. Acts 19 Great is Artemis of the Ephesians!" "And when the town clerk had quieted the crowd, he said, "Men of Ephesus, what man is there who does not know that the city of the Ephesians is temple keeper of the great Artemis, and of the sacred stone that fell from the sky?" Cybele worship was associated with a BLACK STONE or meteorite that had fallen from the sky. The stone associated with Cybele's worship was, originally, probably at Pessinus but perhaps at Pergamum or on Mount Ida. What is certain is that in 204 BC it was taken to Rome, where Cybele became "Mother" to the Romans. Her ecstatic rites of worship made the Roman streets very lively during the annual procession of the Goddess's statue. Alongside Isis, Cybele retained prominence in the heart of the Empire until the fifth century AD; the stone was then "lost." Mecca is where the lost stone is now housed.